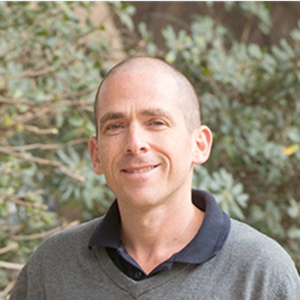 Dr. Shalev Itzkovitz from the Weizmann Institute of Science in Israel will be giving a colloquium at the Institute for Research in Biomedicine (IRB Barcelona) in the Fèlix Serratosa room, on December 12th, 2018 at 16:30hrs, as part of the BIST Colloquium Series. The BIST Colloquium Series consists of monthly lectures and discussion sessions with internationally recognized researchers, providing a broad exposure to multidisciplinary research in experimental sciences. The main aim of the Colloquia is to provide attendees direct contact with inspirational speakers and leaders, who will talk about cutting-edge challenges in contemporary research. Title: Spatial transcriptomics of mammalian tissues. Abstract: The cells in our bodies operate in structured tissues which are often polarized by directional blood flow or morphogens. Thus, the tissue locations of cells are critical determinant of their molecular identities. Our lab is applying diverse tools, ranging from single molecule transcript imaging in intact tissues to single cell RNA sequencing to study the connection between tissue location and cellular function. In my talk I will describe how these approaches facilitated reconstructing global spatial expression maps of complex tissues such as the liver and the intestine. I will also describe paired-cell RNA sequencing, a new tool that resolves the spatial expression maps of tiny supporting tissue non-parenchymal cells such as endothelial or immune cells. Biography: Shalev Itzkovitz received his PhD at the Weizmann Institute. He performed his postdoctoral work at MIT between 2009-2012 at the lab of Prof. Alexander van Oudenaarden. In 2012 he joined the faculty at the department of Molecular Cell Biology at the Weizmann Institute, where he is studying the design principles of mammalian tissues. Shalev is taking a close-up look at individual cells to figure out how they work together in organs such as the intestine, liver, and pancreas. He combines single molecule transcript imaging in intact tissues with single cell RNA sequencing to identify spatial division of labor between cells and within cells. Attendance is free and open to anyone who is interested.